Students of the Civil War generally associate the term "Union Men" with those who supported the United States government against the Confederacy, including those who joined the "Union" army, but in the days before the war that term had a different meaning, at least to some people. This brief article comes from the Covington Journal of October 27, 1860, shortly before the Presidential election of that year took place. 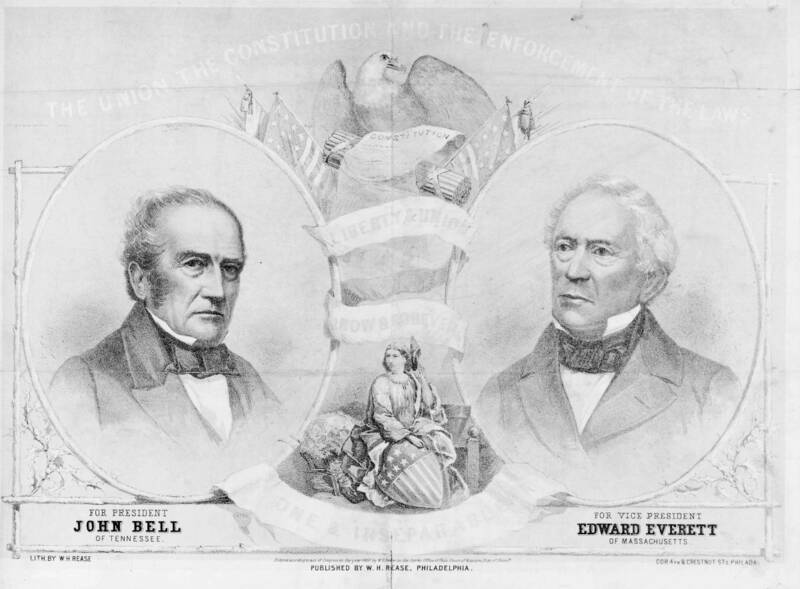 This newspaper supported the John Bell - Edward Everett ticket, the "Constitutional Union Party" and used the term "Union" with that meaning in mind. 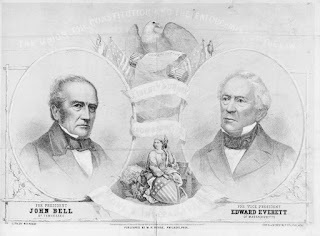 Whilst the leaders of the Republican party frantically appeal to Northern prejudices in behalf of "Northern men with Northern principles," and the Secessionists loudly call for a "united South" to resist the North, the Union men of the South make no idle threats, appeal to no national prejudices. They repel with indignity the unjust assaults that are made upon their section, and earnestly demand their constitutional rights. In conjunction with their friends in the North they present as a candidate for the Presidency a man of great experience in public affairs and of undoubted conservative national opinions - a man who if elected will labor to repress sectional agitation and restore the administration of the general government to the broad basis of the Constitution. If, after all, the Union men fail, if the majority no longer heed appeals to their sense of justice and love of country, and the dark days come upon us, when the collision of sectional opinion shall be "quickly followed by the clash of arms," they will have the consolation of knowing that they labored to the last and did their utmost to prevent the dire result.